Unlimited Selecta Cornetto at the "Tugs Tugs Grand Eyeball V" - Hello! Welcome to my blog! Unlimited Selecta Cornetto at the "Tugs Tugs Grand Eyeball V"
I got an invite to this grand eyeball by Selecta Cornetto, too bad I can't make it. 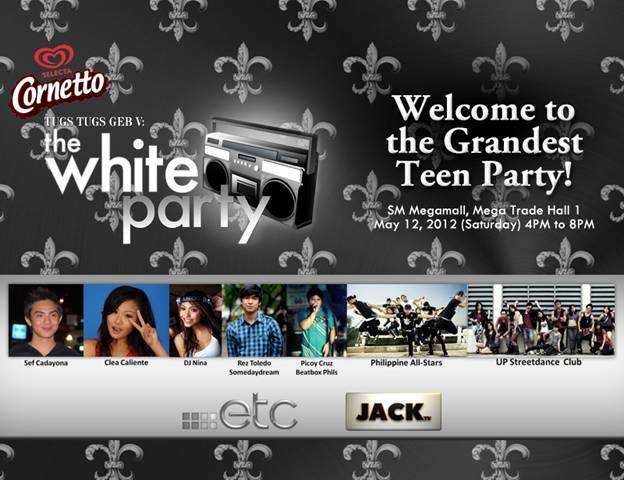 But to share the info to everyone, Selecta Cornetto has partnered with ETC and Jack TV to stage one of the biggest teen parties yet! Recognized as “Selecta Cornetto Tugs Tugs Grand Eyeball V: The White Party”. They say that this hip event will have thousands of online Cornetto fans come in their best white outfits to celebrate the new Selecta Cornetto White Chocolate! The venue is at the Mega trade Hall 1 of SM Megamall. transforming it into the ultimate hotspot for every teen as it gets livened up with blacklights, hip hop beats by the famed DJ Nina and the first of its kind neon freedom wall. Kicking off the party is a dance number by Cornetto boy himself – Sef Cadayona, and one of the country’s most prominent and awarded dance crew, the UP Streetdance Club. Rocketing off the party to the next level, an exclusive collaboration of MYX’s chart-topper Somedaydream and Picoy Cruz of Beatbox Philippines takes the audience to a one of a kind music experience. Saving the best for last, a stunning world-class performance by the 2008 World Hip-Hop Dance champion, ThePhilippine All Stars, caps off this grand event. 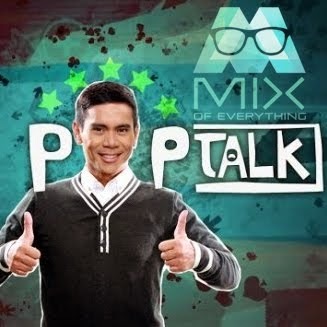 Cornetto boy – Sef Cadayona, and Radio DJ Personality – Cleo Caliente of 99.5RT FM will host the event. 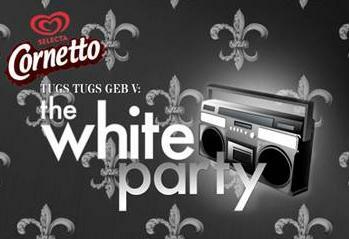 The Selecta Cornetto GEB V is dubbed as the ultimate teen party which is now expected to host a thousand teens! Aside from the sequence of dynamic performances, there is also a series of fun, exciting activities and prizes to win. Of course, it would not be the ultimate Selecta Cornetto party without the unlimited Selecta Cornetto for everyone. I'm thinking of attending this event, I sound fun and exciting!